Date: 09th century, Reign: Jayavarman II, Religion: Hindu. 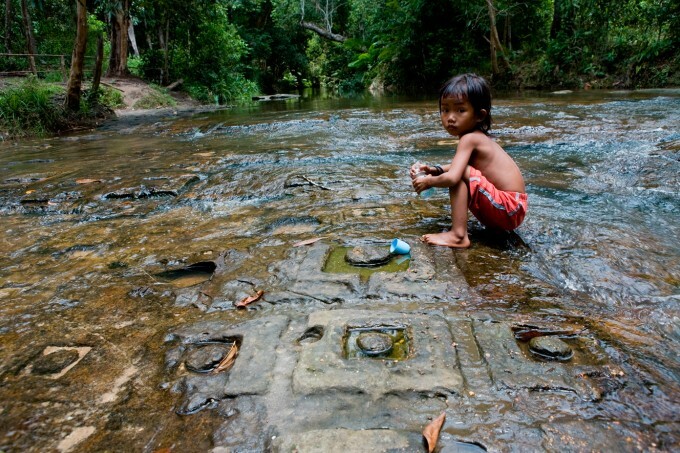 Phnom Kulen is a sacred mountain plateau on which Jayavarman II as the first independent king founded the Angkorian monarchy and Khmer Empire in 802 AD. 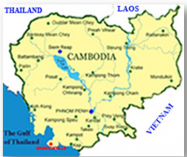 Also the Siem Reap River originates from Phnom Kulen. 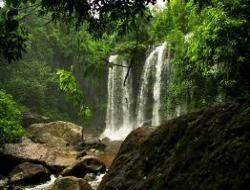 Nowadays Phnom Kulen is a National Park and is with its waterfalls, the Siem Reap River and forest a popular recreation side for the Khmers. 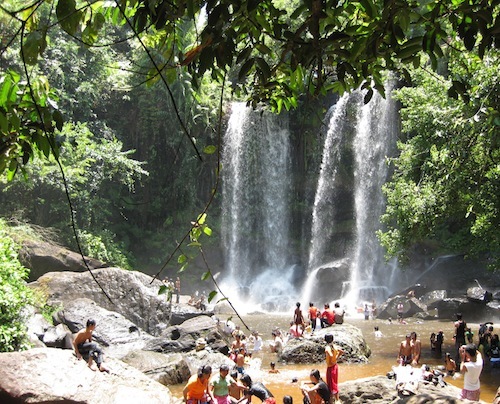 Especially at the weekend or during holidays it is a very popular destination for a refreshing swim in the waterfalls or a picnic on the riverbanks.